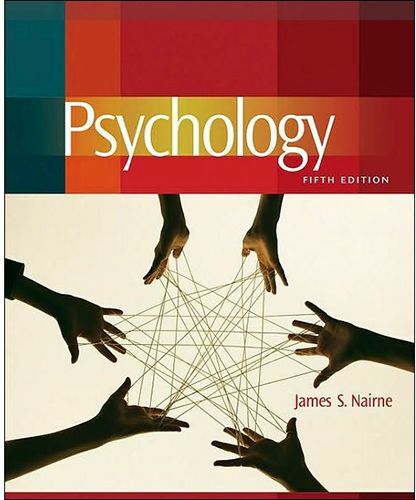 Straightforward and student friendly, James S. Nairne's PSYCHOLOGY, 5e International Edition, uses a proven problem-solving approach to help you discover how to apply psychology to your everyday life. A firm believer that you must understand what a psychological process is for before you can hope to understand how it works, Dr. Nairne presents topics from a 'functional' perspective. With this signature approach, chapters begin by focusing on the 'why' behind psychological processes before introducing what they are and how they work. Our brains are filled with psychological 'tools' that control everything from emotion to memory, and each helps us adapt and solve important everyday problems. Nairne describes these tools in detail, shows you how they're used, and focuses on specific situations in which they are applied. Emphasizing critical thinking and active learning, PSYCHOLOGY, 5e International Edition, provides current, comprehensive, and practical coverage that you can immediately apply to your life.